Exciting, fascinating, spellbinding. I'd follow Saffron into the briny deep. A.S. King has been profiled in Writer's Digest magazine and is a member of the Assembly on Literature for Adolescents (ALAN) and the Society of Children's Book Writers and Illustrators (SCBWI). She was a finalist for the Washington Square fiction contest and Glimmer Train Very Short Fiction Award in 2007, and her writing has been nominated for the 2008 storySouth Million Writers Award and the Best New American Voices 2010 anthology. A citizen of both Ireland and the U.S., King's short fiction, poetry and nonfiction have been featured in the Sunday Times Magazine (Dublin edition), the Sunday Tribune Magazine, and iVillage, as well as in several literary journals including Quality Women's Fiction, Underground Voices, and Contrary. She now lives in Pennsylvania with her husband and children. 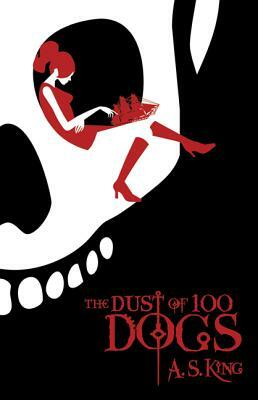 The Dust of 100 Dogs is her debut novel. Visit King online at www.as-king.com or www.thedustof100dogs.com for more information.